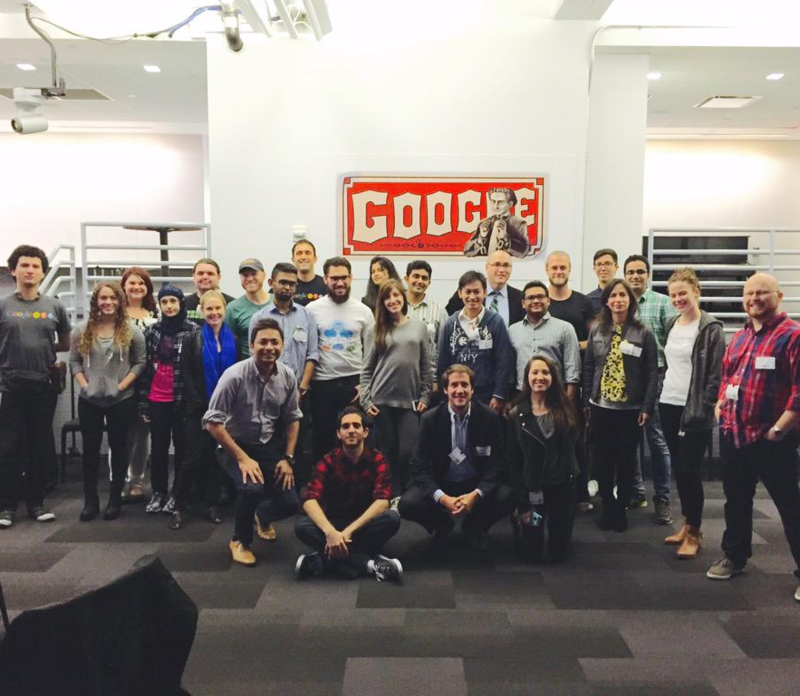 On October 8, 2015, a team of Seidenberg students descended on Google HQ for a day of impromptu coding. 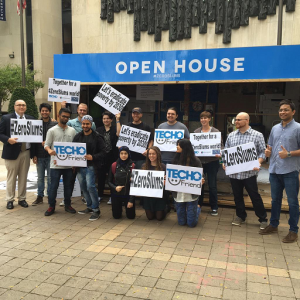 The event was for a good cause: Techo, a non-profit organization that seeks to overcome poverty in slums, needed some help building an app that would make gathering information about families living in slums easier. Techo is present in 22 countries in Latin America and works in over 670 slums every single week. It has implemented 450 community working groups thanks to the help of over 80,000 volunteers (with 800,000 volunteers having been involved to date). The organization has built over 105,000 transitional houses and 6,000 permanent houses, which can massively impact the lives of people living in slums. As if all that wasn’t enough, Techo seeks to empower families through education and community-building: 17,000 adults graduated in basic skills training programs and 26,000 children participated in educational programs thanks to Techo. Google hosted the event, and representatives from Techo and the television network Univision were there to steer (and record) the hackathon. Pace people present included Jigar Mehta, Dhruvil Gandhi, Virali Jhaveri, Robert Plumly, Vaibhav Dubey, Ethan Garrison, Hana Stanojkovic, Barak Michaely, Eiman Ahmen, Ava Posner, Hardik Patel, Jan Schoepp, Trong Le, Ritesh Pathak, and Preston Rollins. The problem to solve was as follows: Techo workers collect information about the needs and conditions of the families they help by asking a series of questions. The answers are recorded by hand, and are entered into a database and organized so Techo can establish an action plan. However, due to the strict organization of the questions against the conversational speech style of the interviewees, this method is highly inefficient and keeps Techo from spending more time actually doing the good work. Seidenberg students were on hand to help fix this problem. Techo already has an app that contains the questions, but it needed improvement in order to be efficient. 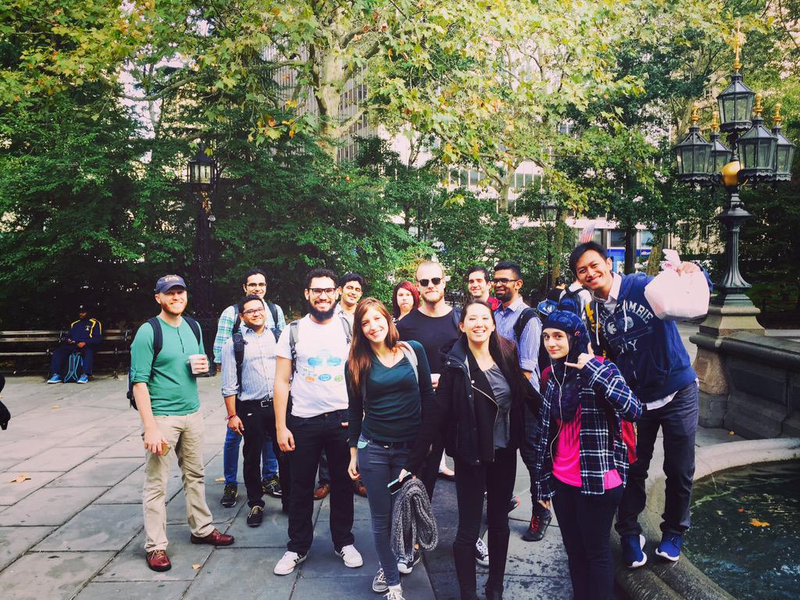 The Seidenberg team split into three groups – one working on the front end, one on the database, and one on the form containing questions itself. Due to the nature of the hackathon, the team only had around 6 hours to work on the project – but they succeeded in improving opening the app, cutting out unnecessary questions and making the usability simpler. It could be up to Seidenberg Creative Labs to finish the job! Learn more about Techo and donate!